The mission of the John Hope Franklin Humanities Institute at Duke University is to encourage and enable serious humanistic inquiry, and to promote a heightened awareness of the centrality of the humanities to the quality of human life, social interaction, and scholarship in all fields. To these ends, we emphasize a broad conception of interdisciplinarity – one that encompasses all methods and approaches, and which acknowledges the importance of the core humanities disciplines – as well as scholarly work that examines issues of social equity, especially research on race and ethnicity in their most profound historical and international dimensions. 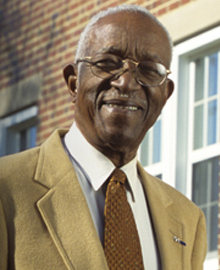 In this ambitious mission, we are inspired by the late John Hope Franklin, James B. Duke Professor Emeritus of History. Learn more on the Franklin Humanities Institute website.